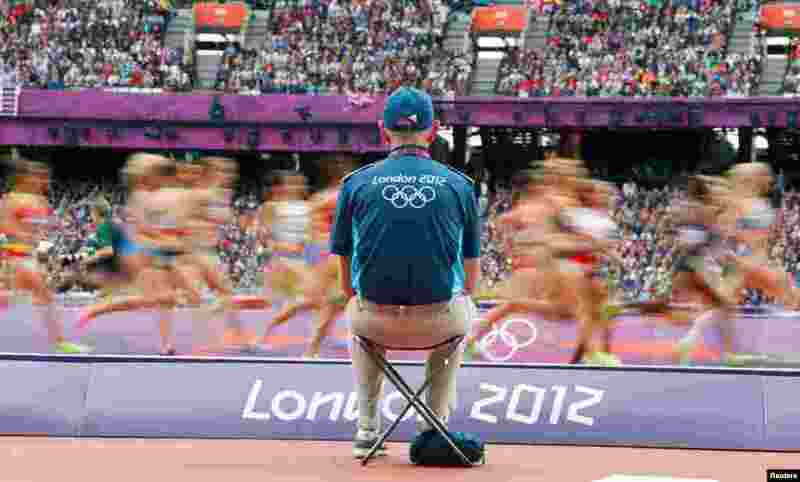 Monday marks the tenth day of the 2012 Olympic Games in London. 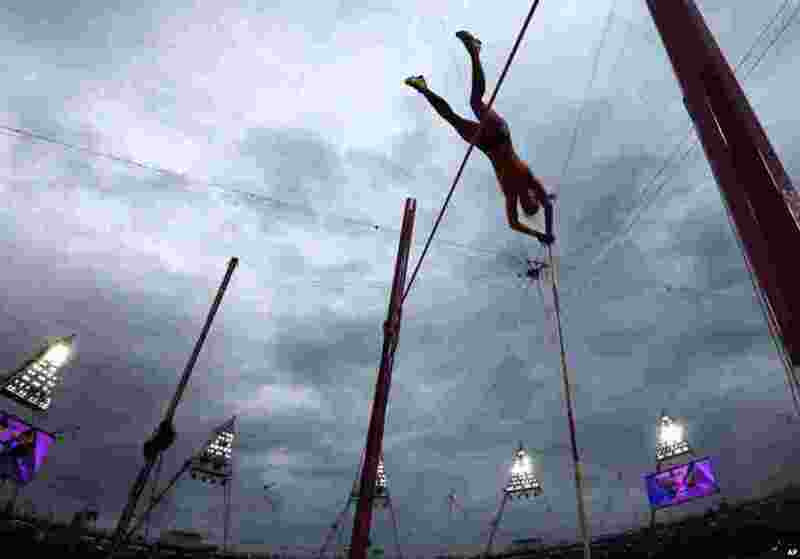 1 Australia's Alana Boyd clears the bar in the women's pole vault final. 2 Mexico's Isabel Delgado Plancarte and Nuria Diosdado Garcia perform in the synchronized swimming duets free routine qualification round. 3 Competitors race in their women's 1500m heat at the Olympic Stadium. 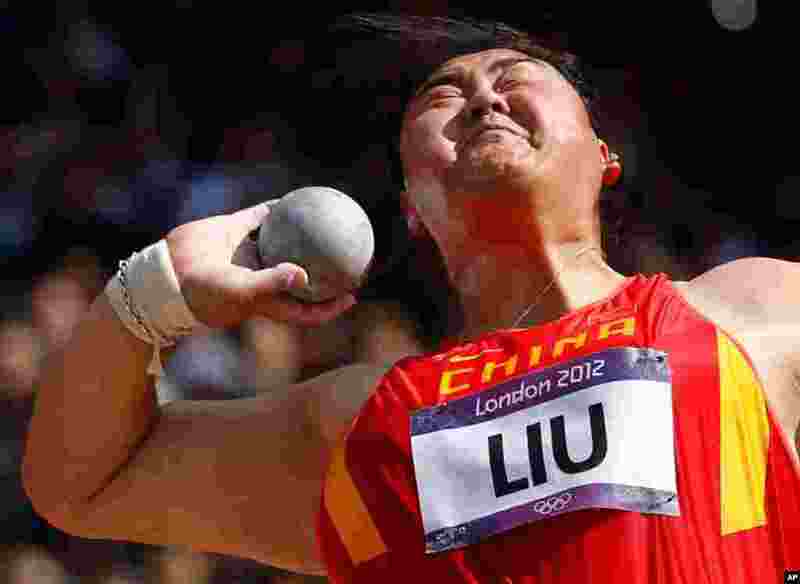 4 China's Liu Xiangrong performs in the women's shot put qualification round. 5 Britain's water polo players react to a goal by Glen Robinson during a preliminary men's match against Montenegro. 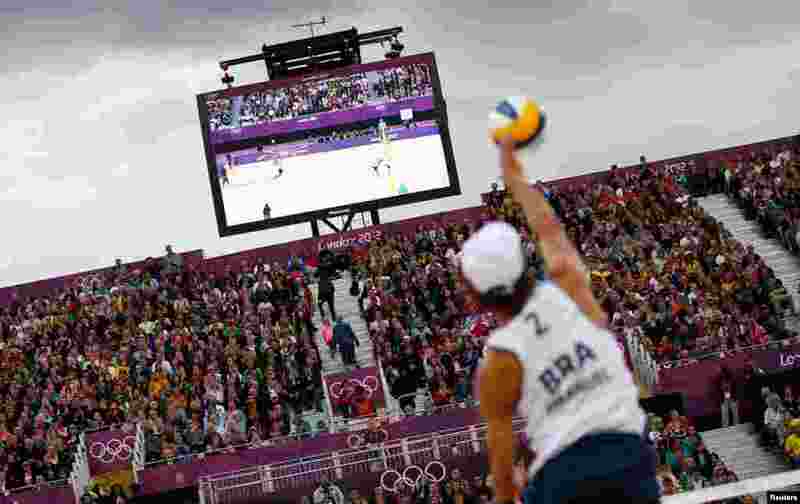 6 Brazil's Emanuel serves against Poland's Mariusz Prudel and Grzegorz Fijalek during their men's quarterfinals beach volleyball match. 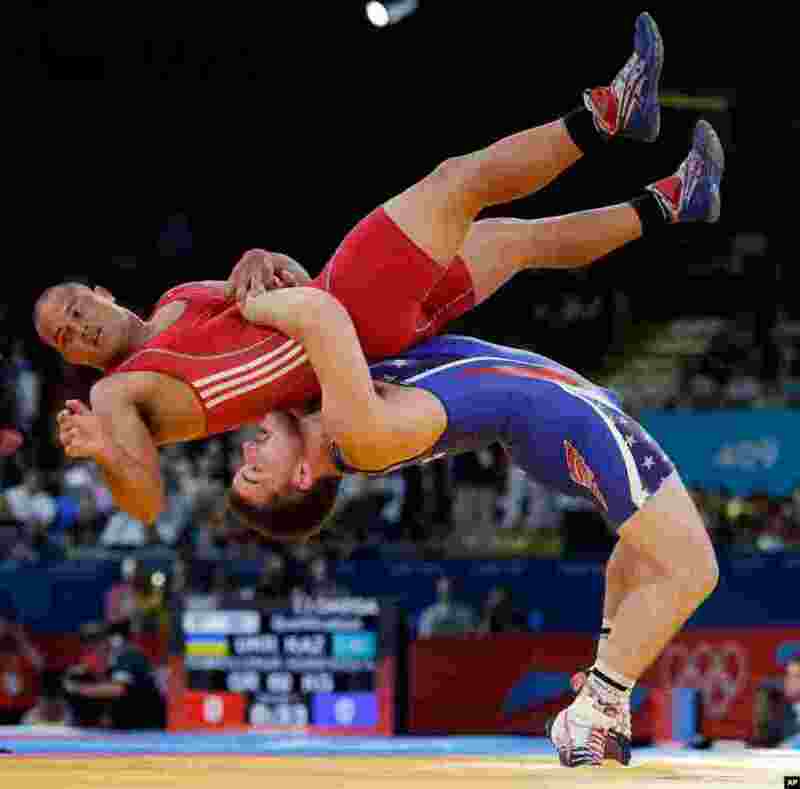 7 Keitani Graham of Micronesia competes against Charles Edward Betts of the United States, right, during the 84-kg Greco-Roman wrestling competition. 8 U.S. gymnast Gabrielle Douglas, left, congratulates Russia's Aliya Mustafina for winning the gold for the uneven bars during the artistic gymnastics women's apparatus finals. 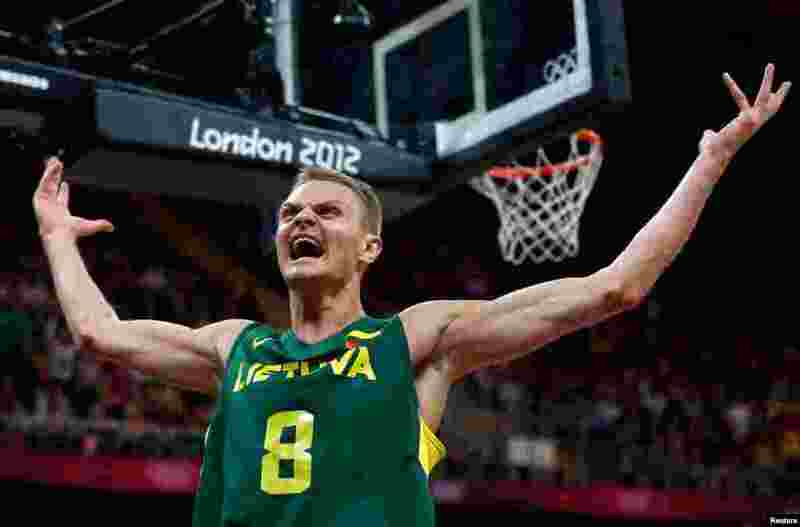 9 Lithuania's Renaldas Seibutis celebrates a basket against Tunisia during their men's preliminary round Group A basketball match. 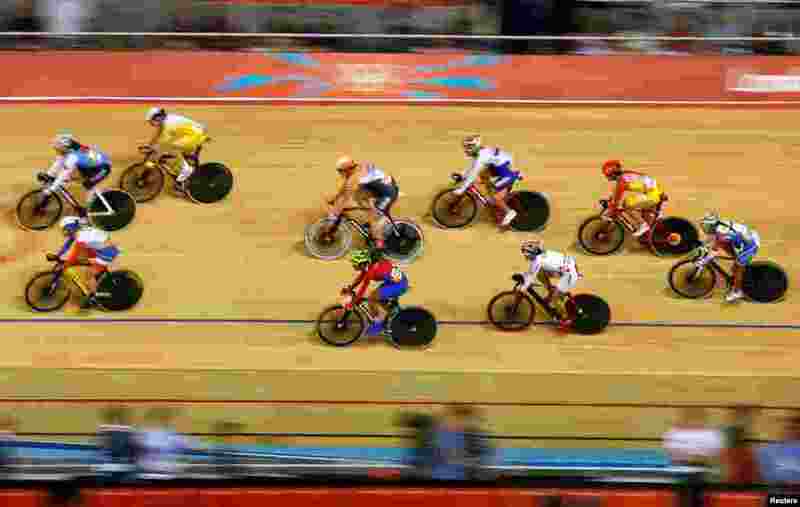 10 Competitors ride in the track cycling women's omnium 20km points race at the Velodrome. 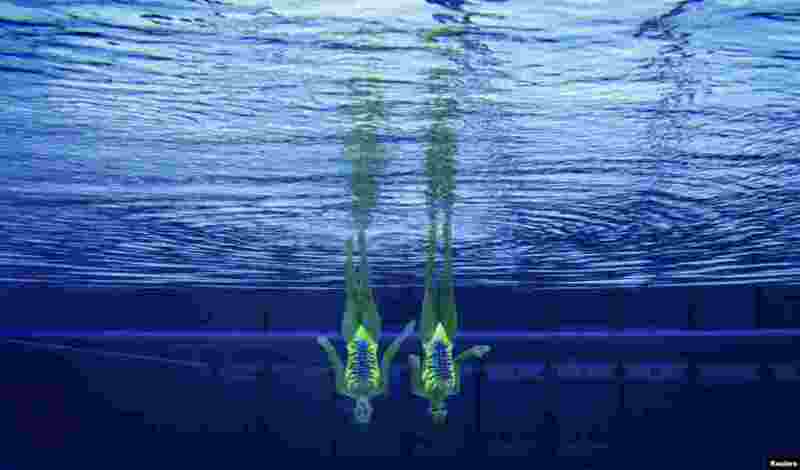 11 Italy's Giulia Lapi and Mariangela Perrupato perform underwater in the synchronised swimming duets technical routine qualification round.